Most of us use the five second rule, right? Food dropped on the floor is okay to eat if you pick it up within five seconds. But if you think about it, that doesn't make much sense. And if you study it, it turns out, that idea makes no sense at all. In 2003 a high school student, Jillian Clarke, found significant numbers of bacteria were transferred from a contaminated surface to food in less than five seconds. I'm mighty proud that we still have high school kids out there that care about such things. But on the other hand . . . duh! Now, the Journal of Applied Microbiology carries a report Clemson University researchers have found that the bacterial transfer rate from surface to food decreases over time (also, duh). 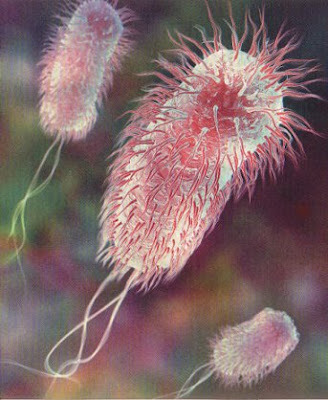 But in some cases over 99% of bacterial cells were actually transferred within the first five seconds. Speedy little devils, ain't dey? Now here's a dose of reality you can take to the bank...er, I mean invest. 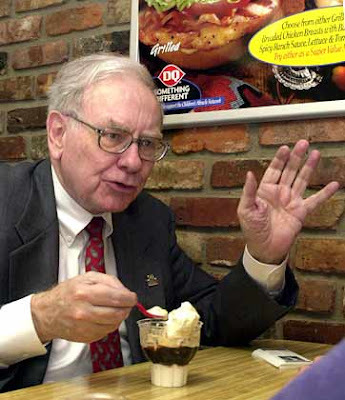 Some excerpts from the Berkshire Hathaway annual meeting Q&A session. Answer by Charlie Munger (CM) and Warren Buffet (WB). You had some really extraordinary things happening in credit markets, because people were panicking or they thought that other people were going to panic. We'll have other events like that again, not exactly the same. As Mark Twain said: "History doesn't repeat itself ... but it rhymes." Q: Do you think gambling companies will have a great future? WB: Gambling companies will have a great future as long as they're legal. People like to gamble and they do so in stocks, incidentally. Day-trading came very close to meeting the standards of gambling. The human propensity to gamble is huge. If the Super Bowl is on -- or even a bad game -- you enjoy more if there's a few bucks on the game. We insure against hurricanes, so I watch The Weather Channel. When we were in Albuquerque you asked me what was beyond the edge of the Universe, and I didn't have a very good answer. To be honest, I felt like a baseball player that had practiced and practiced (I've read a lot of books and thought a lot about the same question myself), but suddenly I was standing in the outfield and a high fly ball was headed my way (your question)...and I dropped the ball. Your question is a really good one and a very hard one to answer because the ideas aren't simple and they aren't easy to understand--even for me. But I've been thinking about what you asked, and I'm really, really glad you did becuase it made me think hard about the question again too. 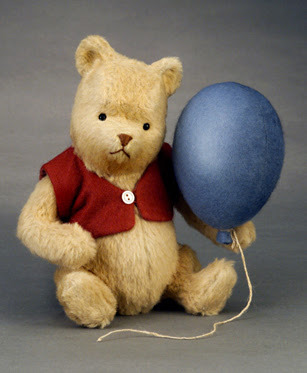 Another way to think about the universe is to think of yourself as an ant on the outside of a balloon. Now the hard part of this idea is that you have to imagine that you, the ant, don't know anything about up or down--only go and stop, left and right, frontwards and backwards. That's hard to imagine because we're 3 dimensional beasts, and you--your antlieness--are a 2D beastie. You can wander around on the balloon and never find an edge, never see the horizon. And if you ask, what does "up" mean, it's meaningless. Does that help? Because we know what up means. Do you know what a 12 dimensional space looks like? What THAT means? Me too not. But that's the current best guess for M-theory, string theory, or whatever the hell they call it these days.